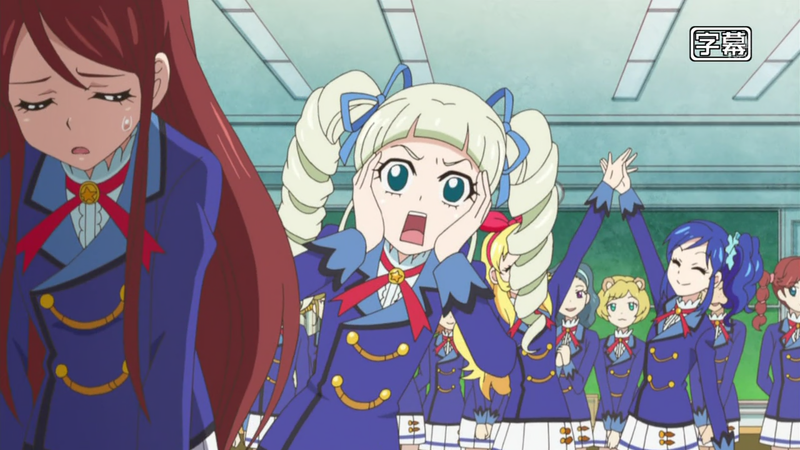 Aikatsu! – 32 | Mezashite! Where did my last 32 weeks just go? Anyway, two minor decisions this episode were brought to you by the power of flipping a coin. This episode also had the most spoken lines in a single Aikatsu episode thus far, and would have had the longest typeset if I had had my way. However, I always keep the viewers in mind, so I spared you the cpu usage.